Take shortbread cookies and make them into a fun Christmas cookie that you and your family will love. 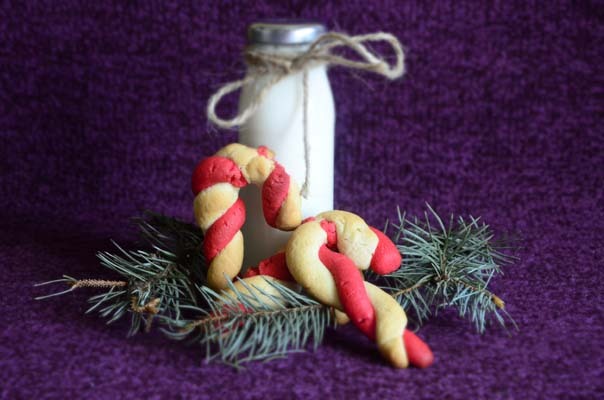 I Spot Santa’s Candy Cane Cookie Recipe is sure to make a fun baking session with your little ones this holiday season. Your imagination is your limits with this cookie, try different colors and try different shapes. Let us know your favorite styles in the comments below. 1. 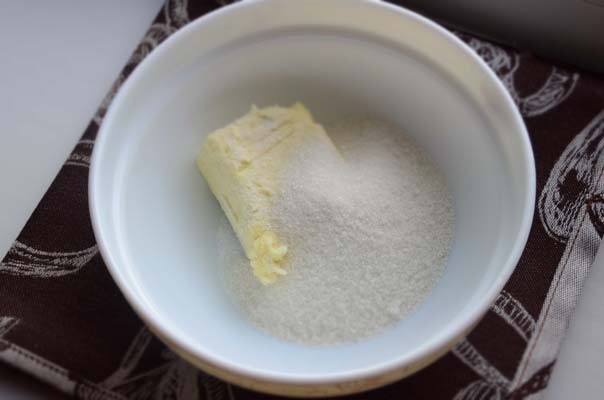 In a deep bowl, mix the butter at room temperature and sugar, start whipping the ingredients until the mixture is light and blended well. 2. 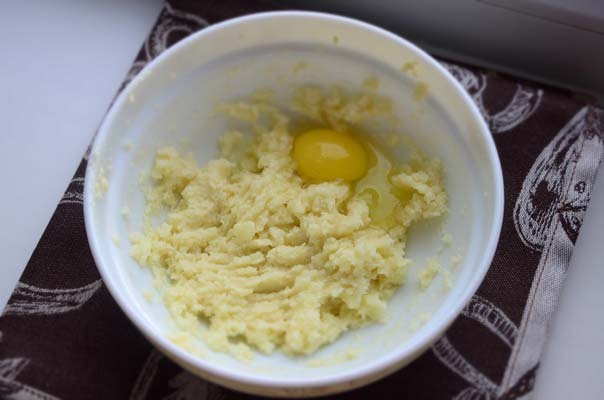 Add eggs, vanilla, salt, peppermint and almond extract to the butter. Beat well until smooth. 3. 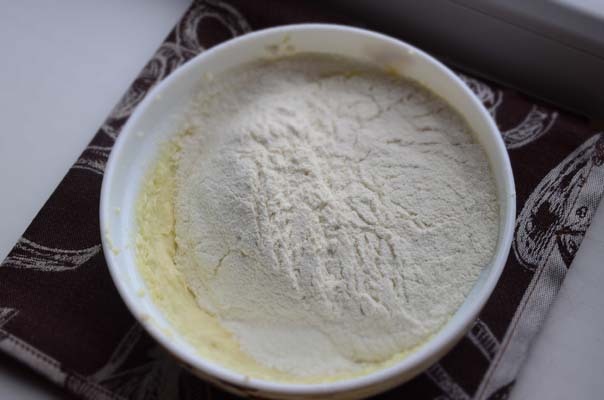 Add flour to the mixture and knead the dough. 5. 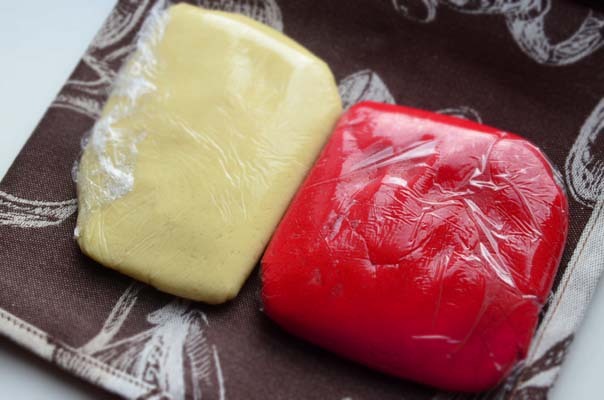 Take a 2 inch piece of dough from each section of dough (one red piece and one white) and form into a 6 inch rope and lay them side by side. 6. 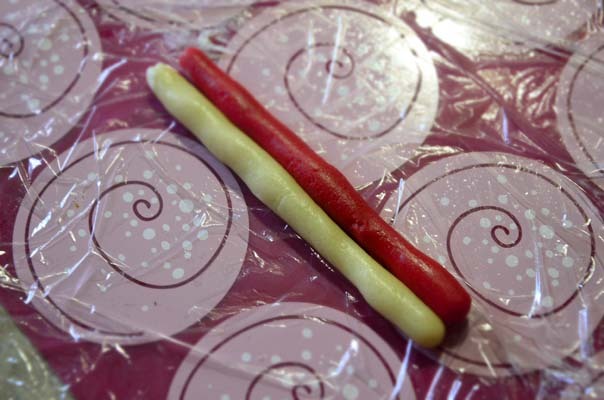 Pinch both ends and twist them lightly so they look like candy cane stripes. 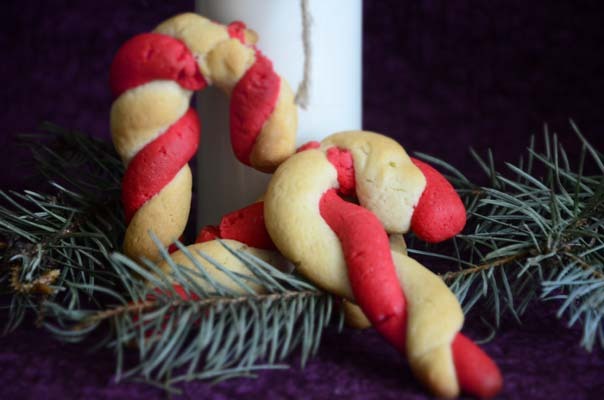 Pinching them makes sure the final Candy Cane Cookies do not split at the ends. 7. 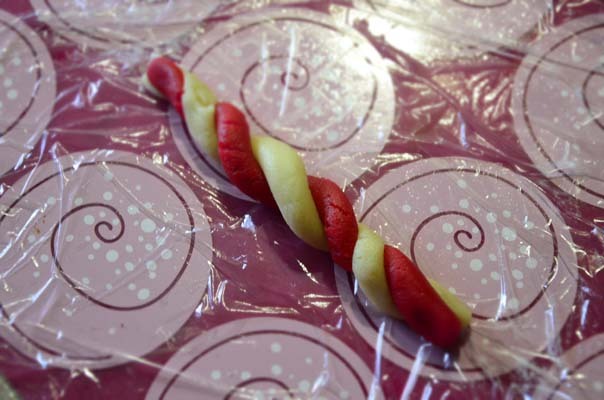 Place them on your baking sheet making sure to curve the tops so they look like candy canes. Bake for 10 minutes at 350F/180C or until lightly golden around the edges and allow them to cool completely.